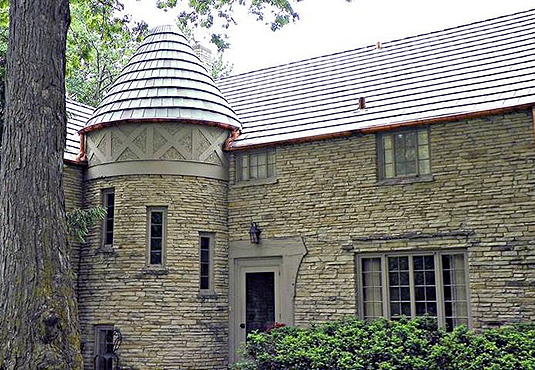 This 1939 home was re-roofed in a 3 color blend of LudoSlate; 50% Montpelier Green, 40% Slate Gray, 10% Vermont Gray Black and trimmed with V-Ridge and hip. 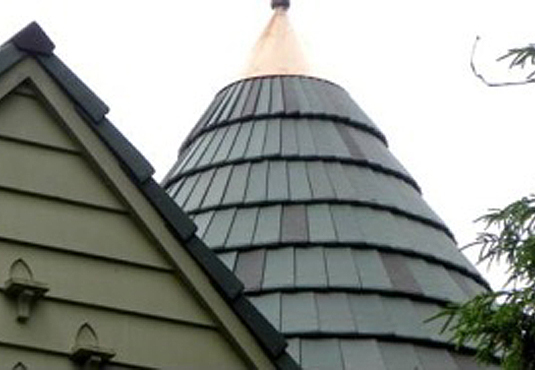 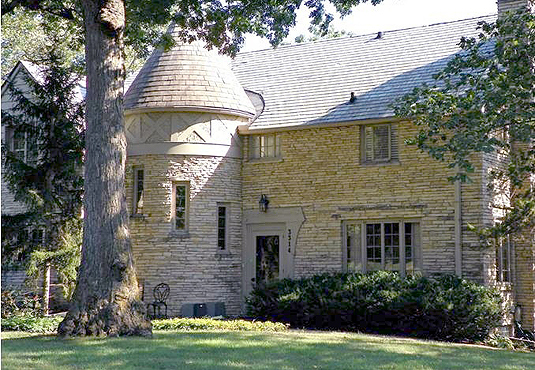 The conical turret is in graduated LudoSlate tile. 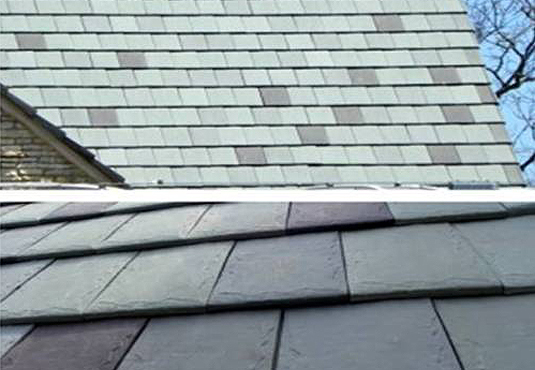 Each course (row) has the same number of tile which gradually become narrower to accommodate the conical shape.